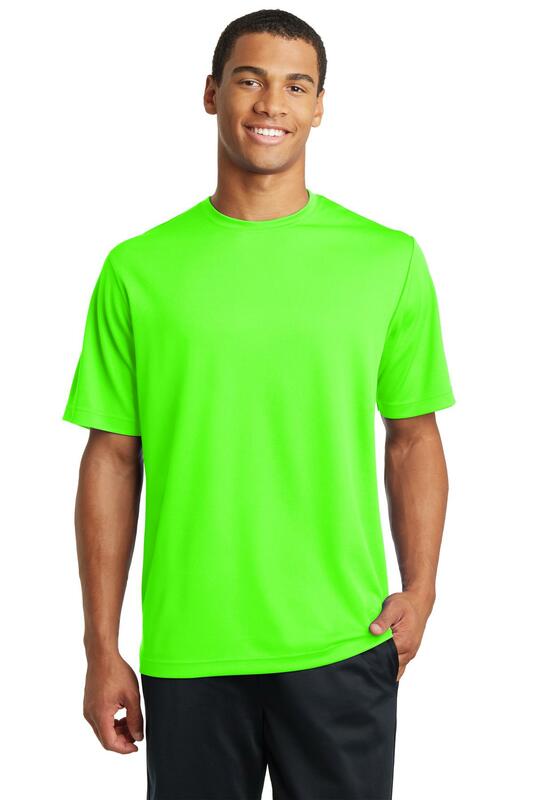 An unbeatable alternative to a jersey or interlock tee, our value-priced RacerMesh Tee will win you over with subtle mesh texture, moisture-wicking performance and color-preserving PosiCharge technology. Thanks to our ultra-fine flat back RacerMesh, this tee has unparalleled breathability. | 3.8-ounce, 100% polyester flat back mesh with PosiCharge technology Tag-free label Set-in sleeves If applying sublimation, special care must be taken throughout the process. Contact your decorator for more details.